It's no secret that we Gilflurts love a bit of poetry and after stories of doomed love, murder and massacre, I thought we'd have an interlude with a man of letters and meet a Poet Laureate. Pye developed a love of literature at an early age, reading Homer at his father's knee and devouring the classics as he spent his boyhood being schooled at home. When he was seventeen, Pye became a scholar at Oxford University and had barely completed his studies when his father, Henry, died. His passing left Pye with a £50,000 debt and on top of that, the Pye family home was razed by fire that same year. Pye soldiered on and eventually became a Member of Parliament for Berkshire, as his father had been before him. He was beset by financial difficulties throughout his time in Parliament and was forced to sell much of his estate, an event that contributed to his decision to retire from politics and take up a career as a magistrate. 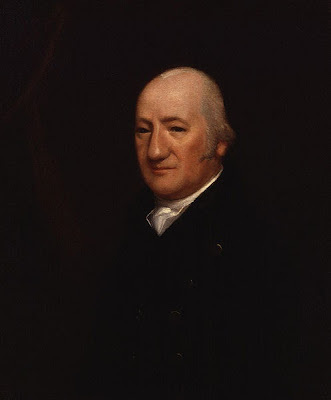 However, During his time in office he was fiercely loyal to Pitt the Younger and his critics suggested that this connection led to an unexpected and, to some, ludicrous appointment turn of events that took place in 1790. Pye was a keen amateur poet and self published a number of works, none of which attained much in the way of plaudits. 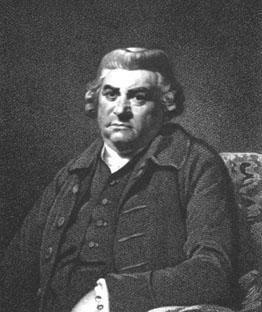 However, when Pye retired from Parliament in 1790, the literary world was stunned to hear that the former MP was to be the next Poet Laureate, succeeding the respected Thomas Warton, who had died that year. Although Pye retained the role for more than two decades, he never really won the respect of his peers and his appointment continued to be the subject of humour and disbelief. Still, what Pye lacked in poetic vision he certainly made up for in business acumen and whereas other Laureates had received recompense in the form of Canary wine, Pye negotiated a salary of £27 per year. In addition to his poetry Pye was an enthusiastic translator and writer of prose and commentary; his works in these fields were considerably better received and his most ambitious verse work is certainly Alfred, an epic poem. Pye was a man who loved letters and who wrote poetry first for his own entertainment and later, perhaps unintentionally, for the entertainment of others; he held the role of Laureate until his death, proud of the office he had attained. Yes, he certainly went his own way! "He is no better,He is much the Same"
I'm never quite sure if he actually wrote this but it deserves to be true!